When checking around few of Fashion Blogs you might’ve noticed a trend—that many brand names appear over and over again. I am sure you must have already come across this Brand before if no you should definitely not miss on their Uber collection noe. It’s safe to say that stalkbuylove never gets it wrong. Season after season, they churn out trendy, timeless, and wearable pieces. What’s are two favorite picks from SBL is what you’ll get to check out in this blog. Shruti is wearing a very basic yet classy piece , a subtle Blush Pink dress with minimal accessories & a Boho art clutch. 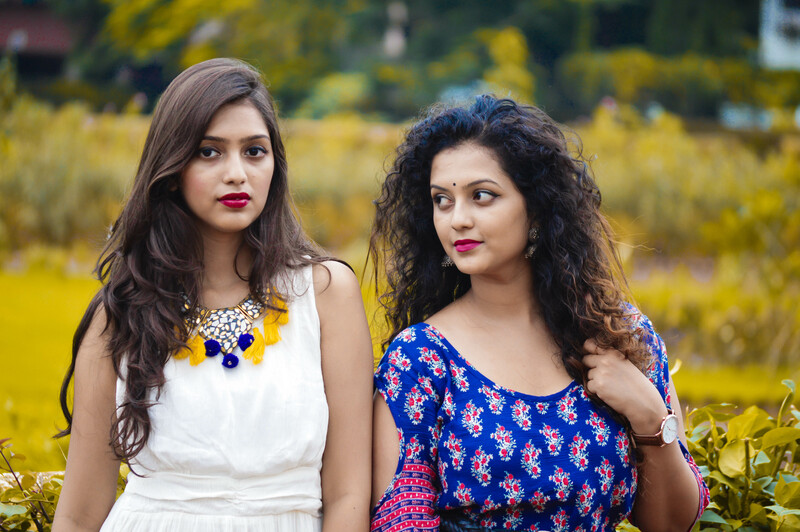 Sanskruti’s look – Lace is one of those ethereal fabrics that will give your look feminine flair, especially when it’s in a refreshing shade of white.Along with the little black dress, every woman should own the little white dress because it can also be the embodiment of style, femininity and elegance. The white dress is suitable for different occasions.It will surely give you soft, classy and stylish look. Styling is right way with a pretty neck piece & Brown heels. Shruti :Blush Pink Dress –stalkbuylove , Earing & Boho Hand Clutch – whimsicalwheeel , Blood Red Heels –tedishparis , Watch-danielwellington . Rewamp your Old Saree-DIWALI 2017 ! 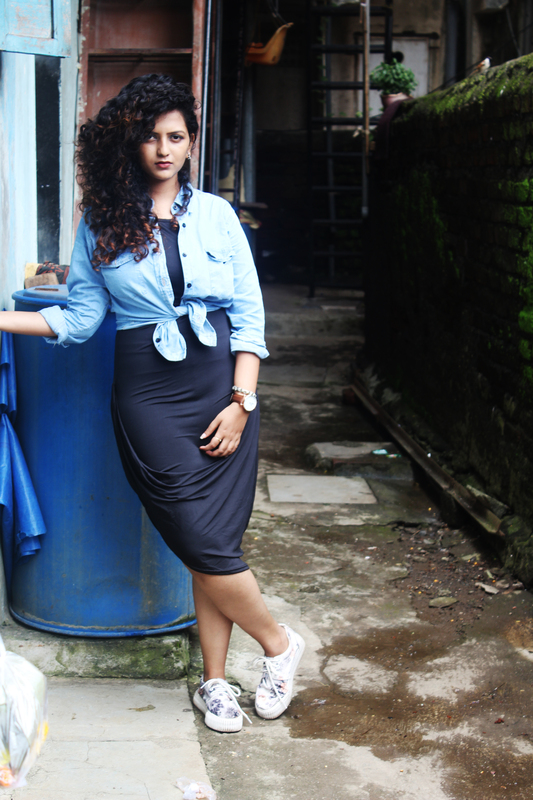 Previous articleFashionable for Monsoon !